Hernias are common — one in ten of us will develop a hernia in our lifetime. They can cause persistent and significant pain and discomfort and need specialist medical intervention to treat. This is because some hernias can become complex cases, turning into medical emergencies if they worsen and are left untreated. There are different types of hernia, and it’s very important to seek advice from a hernia specialist if you have been diagnosed with one. The media have recently reported on complications following hernia repair using surgical mesh techniques by some patients. The coverage highlighted that problems can occur when the surgery using this material is not performed by an experienced specialist in hernia. This is because there are different types of surgical mesh and surgical techniques that can be used. The best approach will depend on the type of hernia and a patient’s individual situation. Your hernia specialist will be able to explain what the best course of action for your particular kind of hernia is, and what you can expect with hernia surgery. 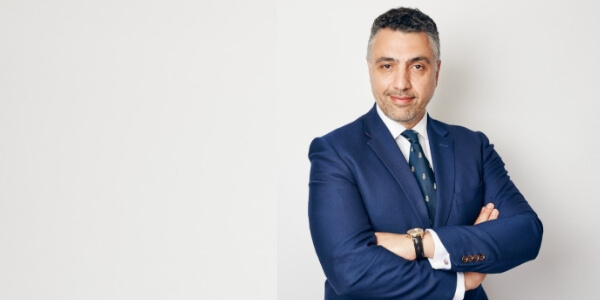 We spoke to Barry Paraskeva at the KEVII Hernia Centre, to understand more about hernia repair using surgical mesh. Here he helps to clear up any confusion about the procedure. Hernia mesh repair surgery: what is it? Hernia repair using surgical mesh is the most widely used method in modern hernia repair. Hernia meshes have been widely used successfully by surgeons since the method was pioneered in the 1970s by Lichtenstein. They are most commonly used to repair inguinal hernias (also the most common type of hernia). Where appropriate, a mesh can also be used in some umbilical hernias (near the belly button) and incisional hernias (where there has been a previous surgical incision). An inguinal hernia is located in the groin area and mostly affects men more so than women. The meshes provide a tension-free repair of the weakened tissues in the groin that caused the hernia. This means that muscle tissues don’t need to be stitched together and the mesh is more naturally incorporated into the body. This is a big factor in why it is has been widely adopted as the best method in hernia surgery, because it has led to lower rates of recurrence (the chance of the hernia returning is lowered), as well as better results for the patient. The mesh is designed to stay permanently in place and naturally become part of the muscle wall in the body where the hernia was. This also helps prevent it from coming back. 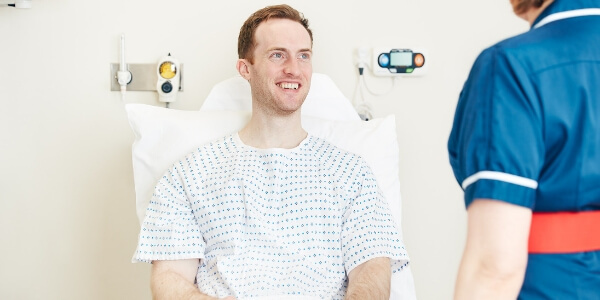 Physiotherapy also complements hernia surgery as an important part of treatment to help you return to normal activities as quickly as possible following your hernia repair procedure. The majority of meshes used in hernia repair are made from woven nylon or polypropylene. There are meshes which contain titanium, absorbable material and biological collagen. Thanks to medical advancements, meshes over time have become more lightweight, with improved weaves that help with how the mesh integrates into the tissue in the groin. These advancements have improved the repair and patient’s comfort after the surgery. Your hernia consultant will be able to advise on the choice of mesh for your operation and explain this to you. The type of mesh, for example, used here at the KEVII Hernia Centre will always be a modern, lightweight mesh with a wide knit pattern to allow good tissue ingrowth. We never use mesh that has been discredited in the medical field or have reported poorer results. Only types that are optimal for patients and their type of hernia is considered. Innovation in healthcare has also made it possible for meshes to be placed via an open surgery technique as well as keyhole (laparoscopic) technique — keyhole surgery making the procedure as minimally invasive as possible. What can be done if a hernia comes back? While most hernias won’t cause serious problems, hernias can develop complications and they should not be ignored. The most serious complication of a hernia is something called a strangulated hernia. This is where the intestine gets trapped in the hernia and loses its blood supply. This is an emergency and surgery is the only way it can be treated. Once repaired, as with any kind of surgery, there is always a small risk of complications. A hernia can also return. Part of the initial detailed assessment your specialist will make with you involves looking at the size and location of the hernia, as this is important to assess when determining how likely it is to return. Reports in the media have highlighted the use of mesh is not appropriate in some cases. Specifically for hernia, a recent report from the BBC discussed complications arising from the use of mesh in hernia surgery — highlighting that surgery always carries this risk of complications. As the report indicates too, the use of surgical mesh requires a specialist to perform. This is because complications can arise when mesh is used improperly, or by inexperienced surgeons (and especially surgeons who are not specialists in hernia and the use of mesh for hernia repair). Complementary medical studies have shown that the surgeon’s experience lowers the chance of a hernia returning. If your hernia comes back, it needs to be evaluated by an experienced surgeon. You may need an ultrasound or MRI scan to confirm that it has come back. If it has, it can be repaired again using a different approach to the initial one. For example, if you had open surgery to repair it initially, your surgeon could then repair it with less invasive keyhole surgery. The chances of a hernia returning are lowered in cases where mesh techniques are used compared with sutured techniques (using stitches). Focussing on inguinal hernia repairs, the rate of complication is very low (1-5%) making it a very successful procedure. Open hernia repairs tend to have a slightly lower chance of the hernia returning (1-2%) compared with keyhole repairs (5%). If a patient is diagnosed with a hernia, the chances it will become very serious is also low (2.5-4.5% of hernias). It’s important to understand that any form of surgery should be performed by a well-trained and experienced hernia specialist. 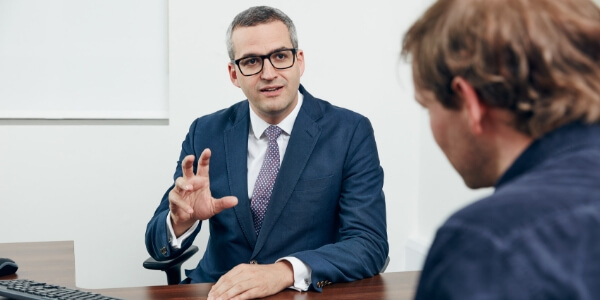 Your hernia consultant will be able to advise on what is appropriate for your hernia, the type of mesh that can be used and if it is recommended, and all the options you have available to you to help improve your condition.